In 2008 I nearly lost my life in a surfing accident in South Africa. 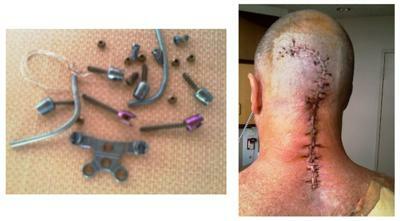 I broke my neck very badly and over the next 8 months I underwent 5 major operations all related to my injuries. Obviously after all of this I wasn't in the greatest shape and had put on a lot of fat ( I permanently have no mobility between my neck and shoulders ..the bionic man) but mentally I was very strong and I finally got the all clear to start rehabilitation in march of 2009 and began training back in the gym with the intention of getting into the best shape of my life...and ...to help others understand that adversity is 'good' since it makes you stronger and more easily able to overcome what life throws at you. My life is devoted to helping others find their purpose and my personal mission statement is " To empower 5 million people to find and fulfill their purpose through health and fitness". 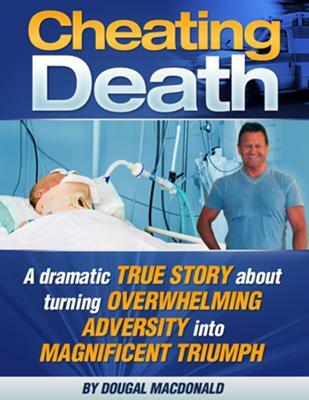 I have a website devoted to this mission called www.dougalmacdonald.com and I have just finished my book called "CHEATING DEATH" a powerful true story about turning major adversity into magnificent triumph. Joseph Pilates once said " Health and fitness is a major prerequisite to happiness" and I believe that. I don't think you can find out who you really are until your are fit, lean and strong enough to get into a positive frame of mind. Adversity definitely does NOT have to stop you from losing weight and bodyfat, you just need vision and a plan. You absolutely can get back into the shape you would like to be in, you just have to want to bad enough.